New Class PLUS New Product! TODAY is THE DAY!! Sale Day! You asked and we listened. 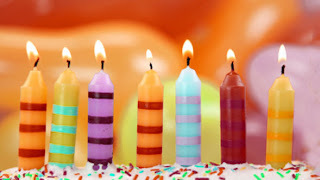 We will be offering morning, afternoon and evening classes! Also for those of you looking to try some HOT new products, these classes are for you. 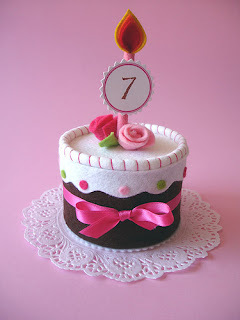 As always, our classes are great for beginners, intermediate and even advanced level paper crafters. Classes are approximately 1.5-2 hours in length and all supplies are included in the class fee. Give me a call at the store if you are interested in attending (DO NOT EMAIL!). A message can be left on the phone if calling after hours. PS....there are still spots available for Michelle's AMAZING Glitter Ritz Scrapbook Class THIS Saturday at 1PM. See post below for photo and details!!! Yes! Copic markers....beginner level! 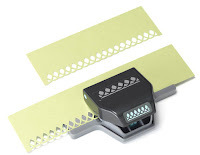 I have heard many of you asking about the copic markers but have told me you are not quite ready to invest in 18+ markers required for Linda's advanced level technique class. We also heard that you were looking for the return of Pauline's coloured pencil technique classes. This is exactly what Pauline is offering this month! Honestly, how cute are these?!?!?! This is a technique class so it is essential to bring your own colouring tools to get the most out of the class. Pencils can be purchased for $1.95 each and Sketch Copic Markers are $6.49 each. Please let me know if you require any prior to class so I can order them in if not in stock. Looking for a little sparkle in your life these days? This class will give you what you are looking for! This is Glitter Ritz at its MAX! Debbie will show you two different ways to work with this beautiful new product. You will also be distressing, using tools like the crop-a-dile, liquid pearls, edge punchers, spica pens and more. These cards blew me away when I saw them in person and I know you will LOVE them too! Hope to see you in a class very soon!! I know you would have a great time! I just wanted to let you know about an amazing event coming up THIS Sunday....and what perfect timing given it is Family Day Weekend! Incredible entertainment including a fashion show, skateboarding, various performances and something so exciting the organizers cannot even reveal the details yet. They will also be announcing the top 40 Most Adorable Munchkins! The first 100 families to attend will receive a fabulous SWAG BAG which will be filled with fantastic goodies for your entire family! What an exciting time of the year at the Pickle! New product has been ordered and it is starting to roll in! 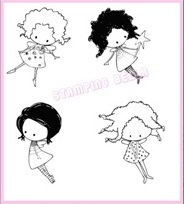 All the new Stampingbella stamps have arrived!! Remember those pixies I told you about? Well they are even more dill-icious inked up! I had to try this four pack of pixies for Julia's valentines this year (pics to follow)! New EK Success Edge Punches are in and with even LOWER everyday prices ($15.50). 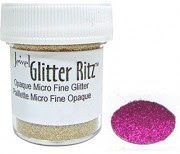 More Glitter Ritz - It was love at first sight when I got it in the store two weeks ago that I had to order MORE colours! I am now in perpetual sparkle thanks to the Ritz! Copics - all 12 new colours are pre-ordered! Cosmo Cricket - can't wait! My Mind's Eye - just Fine & Dandy in SO many ways! Michelle has done it again with a great layout. You should see it sparkle! She is using Glitter Ritz and LOTS of it...just my kind of class. You will also be distressing and working with Tim Holtz's dies. I perfect way to spend your Saturday afternoon! Give the store a call or may I suggest coming in to see this get 12x12 layout in person! A perfect class for a beginner or intermediate level. Holy smokes! I think you guys LOVE our sales....especially our 7th Birthday Bash! There was a crazy snow storm on Wednesday, yet you still made it in! I am VERY impressed. So tomorrow is the last day of our bash. Show me what you got! ♥ Awesome sales tables - 50-75% OFF!! PS...There are still spots available for classes on Feb 8 & 15th. Call to reserve a spot! Did you mark your calendars? Today is the FIRST day of The Pickle's 7th Birthday Bash! Sale runs from February 1-5th. Hope to see you soon!!! ALL stamps (when I say all, I mean ALL....woodmount, cling mount, unmounted, polymer) Buy ONE, Get ONE FREE!! !